Well I hope you enjoyed the RSS Feed password being down for a while because it’s back baby. And it’s back with a vengeance. If you’re a premium listener make sure you’re logged in and go to the TBGWT Premium page and scroll to the bottom. The new password is in blue writing. While you’re here let’s do a couple of house keeping things too. All the fantasy football payments have been sent out for Balls Deep Fantasy Football league. And lastly, we have some guest spots we’ve done that we’d like you to know about. As always, you can find these podcasts on iTunes and Stitcher or click the links below. Rod and Karen were on the Say Something Nice Podcast discussing Little Shop Of Horrors. Rod and Karen were on Movie Trailer Reviews episode 550: The Year Of The Mediocre White Man with Kriss. 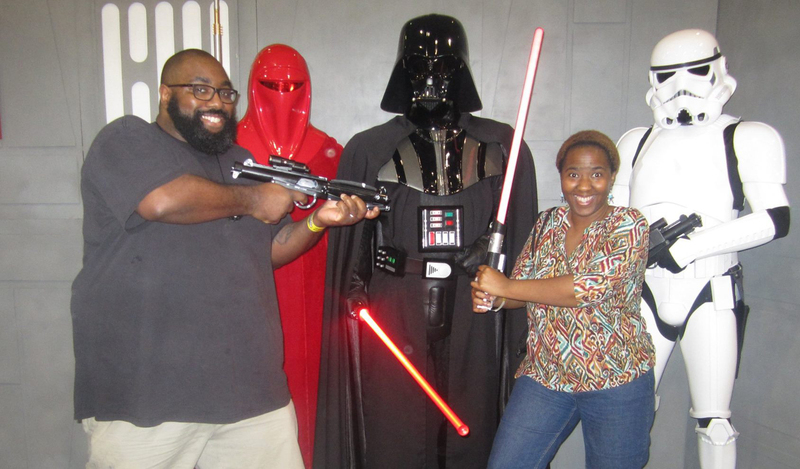 Rod and Karen were on The Interracial Jawn Podcast 119: Hotep Yoda. Okay that’s all for now. Thanks for supporting us guys. And happy podcast listening!